Beeches Auto Locksmiths Chessington are fully mobile car locksmiths in Surrey. They are able to come out to your car, van, lorry or truck, replacing keys, repairing locks or removing broken key. They do all this on site. 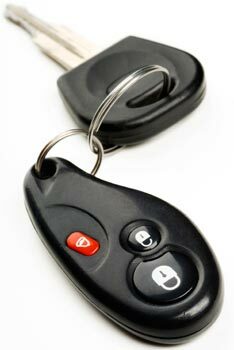 Our Auto Locksmiths Chessington can help with broken and lost car keys, faulty locks, and lock-outs. They also deal with transponder key problems, ECU programming and much more. Services offered to the general public and motor trade in Surrey, South London, Guildford, Kent and Sussex. Our mobile auto locksmiths Chessington offer full roadside assistance for lost and broken car keys. We have extensive experience with gaining access to your vehicle, cutting new car keys and transponder key programming. If you require emergency assistance one of our fully trained and experienced car locksmiths in Chessington will have you back on the road in no time. We cover all of Surrey and surrounding areas from our workshops. Customer service and using only quality parts are our top priorities. As we are not a large national company we can offer a fast, friendly service to all our customers. Our auto locksmiths Chessington will provide pleasant and friendly advice when they arrive at your car or over the phone. We will have your car open in the shortest possible time, with no damage to your vehicle. Services are provided to Chessington, Surrey and South London and surrounding areas at a fraction of most main dealer charge. Most modern cars use transponder systems where the keys contain a microchip that needs to be coded to the car to operate the immobiliser system. As car locksmiths Chessington we are able to do this on site. Lost or stolen car keys replaced, broken key extraction from lock, spare car key and key duplication, vehicle entry and key retrieval when keys are locked inside, repair to damaged locks and central locking remote programming and repair.